The Web site is for your personal use and for noncommercial purposes, except as expressly provided on the Web site or to engage in commerce with third-party merchants whose websites are accessible from the Web site. You may not make commercial use of the data or content found on this site, including, without limitation, “scraping” or other manual or automated methods of collecting user e-mail addresses or other user data, product descriptions, product prices, or any other information or content on the Web site. As a condition to your continued use of the Web site, you warrant to SoftwareCoupon.com that you will not (i) use the Web site for any purpose that is unlawful or prohibited by these Terms and Conditions, (ii) make any use of the Web site that, in SoftwareCoupon.com’s sole determination, imposes an unreasonable burden on SoftwareCoupon.com’s systems, (iii) make any attempt to gain unauthorized access to the Web site, or any user account, computer system, or network connected to this Web site, including by hacking, password mining, “phishing”, or other illicit means, or (iv) use this Web site in connection with any referral programs, pyramid schemes, chain letters, or spam operations. Unless you are subsequently advised otherwise by SoftwareCoupon.com, you are hereby licensed to create hyperlinks to the content on the Web site, provided that the hyperlink accurately describes the content as it appears on the Web site. SoftwareCoupon.com reserves the right to revoke this license generally, or your right to use specific links, at any time. Under no circumstances may you “frame” the Web site or any of its content or copy portions of the Web site to a server, except as part of an Internet service provider’s incidental caching of pages. Each page within the Web site must be displayed in full (including all trademarks, branding, advertising and promotional materials), without any accompanying frame, border, margin, design, branding, trademark, advertising or promotional materials not originally displayed on the page within the Web site. You are not authorized to create any hyperlinks that would state or imply a sponsorship or affiliation with SoftwareCoupon.com or the Web site or portray SoftwareCoupon.com or the Web site in a false, misleading, or otherwise objectionable manner. Commerce on Third-party Web Sites. You may wish to purchase goods or services advertised or featured on the Web site that are offered by merchants on third-party web sites. All transactions on third-party websites are between you and the third-party merchant. SoftwareCoupon.com shall have no responsibility whatsoever in the event that a dispute arises between you and a third-party merchant. SoftwareCoupon.com does not endorse any product or service or make any representation regarding the reliability, quality, safety, availability or accuracy of any information, products, or services provided on or through third-party web sites accessible via hyperlinks on the Web site. Coupons and Other Offers on the Web Site. The Web site may contain coupons, promotions, or other offers relating to goods or services offered by third-party merchants. 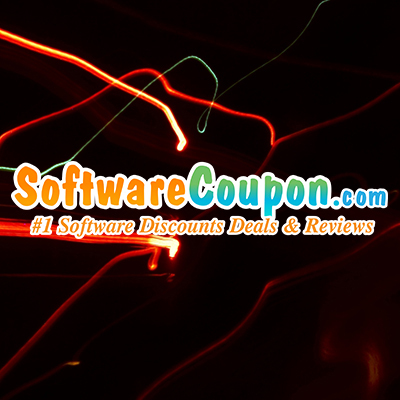 SoftwareCoupon.com does not control and cannot guarantee the accuracy, validity, or legality of any coupon, promotion, or other offer made available on the Web site, regardless of whether such coupon, promotion, or other offer is provided by SoftwareCoupon.com or by a user of the Web site. Commerce on the Web site. Portions of the Web site, may offer users the ability to buy or sell products or services directly on the Web site. You must be at least 18 years of age to buy or sell products on the Web site. SoftwareCoupon.com makes no guarantees and provides no protections with respect to the conduct of buyers or sellers on the Web site. You fully assume all risk of participating in transactions on the Web site, including any damages or harm arising out of your disclosure of personal information to another user. SoftwareCoupon.com is not a party to any transaction between users and has no responsibility to resolve any disputes arising out of any transactions occurring on the Web site. SoftwareCoupon.com shall have no responsibility whatsoever relating to the transactions conducted by users on the Web site. Disclaimer of Liability. You acknowledge and agree that SoftwareCoupon.com shall not be liable for any loss, damage, or injury arising out of (i) transactions between users occurring on the Web site, (ii) any use of a third-party website, including transactions between users and third-party merchants, (iii) any coupons, promotions, or other offers made available on the Web site by SoftwareCoupon.com or other users. Any software that is made available to download from this Web site is the copyrighted work of SoftwareCoupon.com and/or its suppliers. Your use of the software is governed by the terms of the End User License Agreement, if any, that accompanies or is included with the software. You may not install or use any software without first agreeing to the terms of such End User License Agreement. For any software not accompanied by an End User License Agreement, SoftwareCoupon.com hereby grants to you a personal, nontransferable, non-sublicensable license to use the software for viewing and other purposes within the scope of use of such software anticipated by SoftwareCoupon.com in accordance with these terms and conditions, and for no other purpose. Any such software is provided to you subject to the warranty and liability exclusions set forth in these terms and conditions. SoftwareCoupon.com may allow you to upload, post, transmit or otherwise provide information or content to the Web site, including, but not limited to, photos, video, audio, comments, product listings, coupons, and any other information or content that you post or otherwise transmit to the Web site (“User Content”). You agree that you are solely responsible for any User Content that you post to the Web site. Do not provide User Content containing malicious code, including but not limited to computer viruses, Trojan horses, or other programs designed to disrupt, damage, restrict, or provide unauthorized access to any computer software or hardware or telecommunications equipment. Respect the Intellectual Property Rights of Others. You may not post or transmit to the Web site any content belonging to another party, without the prior written consent of the owner of such content. Simply because material is available on the Internet does not mean it is in the public domain. The vast majority of materials on the Internet are protected by copyright and trademark laws. You are solely responsible for any damages resulting from violation of the copyright, trademark, or other rights of a third party that arise out of User Content that you submit to the Web site. SoftwareCoupon.com’s Right to Remove User Content. SoftwareCoupon.com shall have the right, but not the obligation, to monitor any User Content areas of the Web site to determine compliance with these Terms and Conditions and any other operating rules that may be established by SoftwareCoupon.com from time to time. If SoftwareCoupon.com is notified or otherwise determines, in its sole discretion, that any User Content violates these Terms and Conditions, SoftwareCoupon.com may remove or request the removal of such User Content. In addition, regardless of whether such User Content violates these Terms and Conditions, SoftwareCoupon.com reserves the right (but is not obligated) to edit or delete any User Content posted on the Web site that SoftwareCoupon.com, in its sole discretion, views as objectionable or otherwise likely to inhibit the enjoyment of the Web site by other users. SoftwareCoupon.com’s Right to Use User Content. SoftwareCoupon.com reserves the right to record, re-purpose or re-publish User Content, including, for example, on its web sites, newspapers, and broadcast stations. By posting User Content, you are granting to SoftwareCoupon.com, its affiliates, subsidiaries, and all of their officers, directors, employees, agents, licensors and suppliers a worldwide, royalty-free, perpetual, non-exclusive and irrevocable right and license to use, reproduce, modify, adapt, publish, translate, create derivative works from, distribute, perform and display any User Content submitted by you and/or to incorporate (in whole or in part) such User Content in other works in any form, media or technology now known or hereafter developed. Responsibility for User Content. You agree to defend, indemnify and hold harmless SoftwareCoupon.com, its affiliates, subsidiaries, and all of their officers, directors, employees, agents, licensors and suppliers, from and against any and all claims, actions or demands, liabilities and settlements, including, without limitation, reasonable legal and accounting fees, resulting from, or alleged to result from, yours or another person’s use of User Content that you submit to the Web site, including, without limitation, any claim of libel, defamation, harassment, violation of rights of privacy or publicity, loss of service, or infringement of intellectual property or other rights, or violation of these Terms and Conditions. NOTE TO USERS. SoftwareCoupon.com does not control and is not responsible for User Content posted to the Web site and does not represent or guarantee the truthfulness, accuracy or reliability of any User Content. ANY RELIANCE UPON USER CONTENT ON THE WEB SITE IS AT YOUR OWN RISK. SoftwareCoupon.com shall not be liable in any way for damages or harm arising out of User Content, including, without limitation, claims that such User Content is offensive, defamatory, obscene, or violates your rights or the rights of others. Select a user name that is objectionable or offensive as determined by SoftwareCoupon.com, in its sole discretion. You are responsible for maintaining the confidentiality of your user name and password and are responsible for all activity (whether by you or others) that occurs under your account. You are encouraged to notify SoftwareCoupon.com immediately of any actual or suspected breach of security relating to your account. In no event will SoftwareCoupon.com be liable for any loss or damage resulting from any use (whether authorized or not) of your account by a third party. SoftwareCoupon.com reserves the right to suspend and/or terminate your privilege of using all or any portion of the Web site if you breach any of these Terms and Conditions or if, in SoftwareCoupon.com’s sole determination, your conduct on the Web site is objectionable or would otherwise inhibit the enjoyment of the Web site by other users. Without limiting the foregoing, if SoftwareCoupon.com receives notice or otherwise discovers that you have violated (whether or not repeated) another party’s copyright, trademark rights, rights of privacy or publicity, or any other rights of a third party, SoftwareCoupon.com may terminate your access to the Web site, including all of your privileges or accounts and related information that you may have established or obtained in connection with the Web site. All of the disclaimers, exclusions of liability, and indemnification obligations set forth in these Terms and Conditions shall survive any suspension or termination of your privileges hereunder. USE THE WEB SITE AT YOUR OWN RISK. THIS WEB SITE IS PROVIDED TO YOU “AS IS,” WITHOUT WARRANTY OF ANY KIND, EITHER EXPRESS OR IMPLIED, INCLUDING, BUT NOT LIMITED TO, WARRANTIES OF MERCHANTABILITY, FITNESS FOR A PARTICULAR PURPOSE, TITLE OR NON-INFRINGEMENT. SoftwareCoupon.com MAKES NO WARRANTY THAT ANY CONTENT CONTAINED ON THIS WEB SITE SATISFIES ANY APPLICABLE GOVERNMENT LAW, REGULATION OR REQUIREMENT. SoftwareCoupon.com, ITS AFFILIATES, SUBSIDIARIES, AND THEIR OFFICERS, DIRECTORS, EMPLOYEES, AGENTS, THIRD-PARTY INFORMATION PROVIDERS, MERCHANTS, LICENSORS, OR OTHER PARTIES USED TO PROVIDE THE WEB SITE DO NOT WARRANT THAT THE WEB SITE OR ITS OPERATION WILL BE ACCURATE, RELIABLE, UNINTERRUPTED OR ERROR-FREE. TO THE FULLEST EXTENT PERMITTED BY APPLICABLE LAW, SoftwareCoupon.com DISCLAIMS LIABILITY FOR ANY LOSS, DAMAGE, OR INJURY CAUSED BY RELIANCE ON INFORMATION OBTAINED THROUGH THE WEB SITE OR ANY THIRD-PARTY SITES ACCESSIBLE FROM THE WEB SITE. No agent or representative has the authority to create any warranty regarding the Web site on behalf of SoftwareCoupon.com. SoftwareCoupon.com reserves the right to change or discontinue at any time any aspect or feature of the Web site. UNDER NO CIRCUMSTANCES, INCLUDING NEGLIGENCE, SHALL SoftwareCoupon.com, ITS AFFILIATES, SUBSIDIARIES, AND ALL OF THEIR OFFICERS, DIRECTORS, EMPLOYEES, AGENTS, LICENSORS, SUPPLIERS OR ANYONE ELSE INVOLVED IN CREATING, PRODUCING, STORING OR DISTRIBUTING THE WEB SITE BE LIABLE FOR ANY DIRECT, INDIRECT, INCIDENTAL, SPECIAL OR CONSEQUENTIAL DAMAGES AND EXPENSES WHATSOEVER (INCLUDING, WITHOUT LIMITATION, LOST PROFITS, AND DAMAGES ARISING FROM LOST DATA OR BUSINESS INTERRUPTION) ARISING OUT OF OR IN ANY WAY CONNECTED WITH USE OF THE WEB SITE, DELAY OR INABILITY TO USE THE WEB SITE, OR FOR ANY INFORMATION, SOFTWARE, PRODUCTS OR SERVICES OBTAINED THROUGH THE WEB SITE OR A THIRD-PARTY SITE ACCESSIBLE THROUGH THE WEB SITE, WHETHER SUCH DAMAGES ARE BASED ON CONTRACT, TORT, STRICT LIABILITY OR OTHERWISE, EVEN IF ADVISED OF THE POSSIBILITY OF SUCH DAMAGES. YOU SPECIFICALLY AGREE THAT NO LICENSOR, SUPPLIER OR INFORMATION PROVIDER TO SoftwareCoupon.com, OR ITS AFFILIATES, SUBSIDIARIES, AND ALL OF THEIR OFFICERS, DIRECTORS, EMPLOYEES, AGENTS, LICENSORS AND SUPPLIERS, OR ANY OF THEIR SUCCESSORS OR ASSIGNS, SHALL HAVE ANY LIABILITY TO YOU FOR ANY REASON OR UNDER ANY THEORY WHATSOEVER, BASED UPON THE INFORMATION PROVIDED ON OR THROUGH THE WEB SITE. Because some states do not permit the exclusion or limitation of liability for consequential or incidental damages, some or all of the above limitation may not apply to you. In such states, SoftwareCoupon.com’s liability with respect to the Web site and any third-party web site accessible through the Web site is limited to the greatest extent permitted under applicable law. In the event that you become dissatisfied with the Web site, including all information, products, or services available on or through the Web site, your sole and exclusive remedy is to discontinue your use of the Web site. You agree to defend, indemnify and hold SoftwareCoupon.com, its affiliates, subsidiaries, and all of their officers, directors, employees, agents, licensors and suppliers harmless from and against any and all claims, actions or demands, liabilities and settlements, including, without limitation, reasonable legal and accounting fees, resulting from, or alleged to result from, your use of the Web site, or any content, product or service offered through the Web site, in a manner that violates or is alleged to violate these Terms and Conditions. SoftwareCoupon.com shall provide notice to you of any such claim, suit or proceeding and shall reasonably cooperate with you, at your expense, in your defense of any such claim, suit or proceeding. Except for material in the public domain under United States copyright law, all material contained on the Web site (including all software, HTML code, Java applets, Active X controls and other code) is protected by United States and foreign copyright laws. Except as otherwise expressly provided in these terms and conditions, you may not copy, distribute, transmit, display, perform, reproduce, publish, license, modify, rewrite, create derivative works from, transfer, or sell any material contained on the Web site without the prior consent of the copyright owner. None of the material contained on the Web site may be reverse-engineered, disassembled, decompiled, transcribed, stored in a retrieval system, translated into any language or computer language, retransmitted in any form or by any means (electronic, mechanical, photo reproduction, recordation or otherwise), resold or redistributed without the prior written consent of SoftwareCoupon.com. Violation of this provision may result in severe civil and criminal penalties. “SoftwareCoupon.com”, is a registered trademark and is protected by state and federal trademark laws. Other trademarks may appear on the Web site with permission from their respective owners. Your unauthorized use of trademarks appearing on the Web site may constitute trademark infringement, which could subject you to substantial civil penalties. Upon receipt of notice complying with the above requirements, SoftwareCoupon.com will act to remove infringing materials and, if applicable, send notice to the user that posted such materials on the Web site. Upon receipt of a notice meeting the above requirements, SoftwareCoupon.com will send a copy of the notice to the copyright owner who initially claimed copyright infringement. Within 10 to 14 days following receipt of the notice, SoftwareCoupon.com will replace or enable access to the removed material unless SoftwareCoupon.com receives notice from the copyright owner who submitted the first notification that it has filed an action seeking a court order to restrain the user that posted the materials from engaging in infringing activity. Please note that parties who misrepresent that materials are infringing are subject to substantial civil liability to SoftwareCoupon.com and/or the copyright owner or Web site user. For each visitor to the Web site, SoftwareCoupon.com’s servers automatically collect information about which pages are visited and the domain name of visitors. This information is used for internal review, to tailor information to individual visitors and for Web site traffic audits. SoftwareCoupon.com also provides this information (as well as information from third-party market researchers) about users on an aggregated, anonymous basis to advertisers. To prevent unauthorized access, maintain data accuracy, and ensure the correct use of the information, SoftwareCoupon.com has put in place appropriate physical, electronic, and managerial procedures to safeguard and secure the information collected on the Web site. SoftwareCoupon.com may, in the course of providing services through the Web site, ask you to disclose voluntarily certain information about yourself. This could include information that identifies you or your household. Any information in SoftwareCoupon.com’s possession solely as a result of your use of the Web site and that is associated with you or your household is considered “Personal Information.” It consists of both information supplied by you (e.g. name, address, telephone number and e-mail address) and information collected about how you use the Web site (e.g., the fact that you have bought merchandise through the Web site). Personal Information does not include statistical data about large numbers of users, none of whom are identifiable, nor does it include information that you have posted for public view on the Web site or otherwise publicly disclosed. You can access all your Personal Information collected on the Web site by checking your user account profile. SoftwareCoupon.com will use this procedure to better safeguard your information. You will be able to correct factual errors in your Personal Information by sending SoftwareCoupon.com a request that credibly shows the error. To protect your privacy and security, SoftwareCoupon.com will also take reasonable steps to verify your identity before granting access or making corrections to your account information. Like many other commercial sites, the Web site may utilize an electronic file called a web beacon to count users who have visited a page or recognize users by accessing certain cookies. The Web site and/or the web sites of advertisers and merchants with which SoftwareCoupon.com has a relationship may use web beacons (a) for auditing purposes and to collect information from the web sites of certain advertisers or merchants; (b) to report anonymous individual and/or aggregate information about users from such advertisers or merchants. Aggregate information may include demographic and usage information. No personally identifiable information about you is shared with such advertisers or merchants. You may choose to opt-out by contacting SoftwareCoupon.com in accordance with the information set forth at the bottom of this policy. Except as necessary to process your requests or orders placed with advertisers or merchants featured on the Web site, SoftwareCoupon.com does not rent, sell, barter or give away any lists containing Personal Information for use by any outside company. SoftwareCoupon.com may transfer Personal Information if the company or one of its business units is acquired by, sold to, or merged with another company. SoftwareCoupon.com also respects the privacy of data on your personal computer and does not access, read, upload or store data contained in or derived from your private files without your authorization. If you register for e-mail notifications through the Web site, you are agreeing to receive such e-mail notifications from SoftwareCoupon.com. You always may opt out of receiving future mailings or other information from SoftwareCoupon.com. If the mailing does not have an e-mail cancellation form, you may change your e-mail subscription preferences by logging into your user account on the Web site. You may also send an e-mail to comments@mediageneral.com detailing the type of information that you no longer desire to receive. Prior to collecting any Personal Information about a child under 13, SoftwareCoupon.com makes reasonable efforts to obtain consent from the child’s parent after informing the parent about the types of information SoftwareCoupon.com will collect, how it will be used, and under what circumstances it will be disclosed. SoftwareCoupon.com will not knowingly allow users under 13 years of age may to submit or post information on the Web site without the consent of the user’s parent or legal guardian. Although SoftwareCoupon.com will apply these children’s terms and conditions whenever it becomes aware that a user who submits Personal Information is less than 13 years old, no method is foolproof. SoftwareCoupon.com strongly encourages parents and guardians to supervise their children’s online activities and consider using parental control tools available from online services and software manufacturers to help provide a child-friendly online environment. These tools also can prevent children from disclosing online their name, address, and other personal information without parental permission. “Personal information” collected from children may include any of the information defined above as “Personal Information” with respect to general users of the Web site and may be used by SoftwareCoupon.com for the same purposes. Except as necessary to process a child’s requests or orders placed with advertisers or merchants featured on the Web site, SoftwareCoupon.com does not rent, sell, barter or give away any lists containing a child’s Personal Information for use by any outside company. If a child enters a game, contest or other activity sponsored by SoftwareCoupon.com on the Web site, the child may be required by SoftwareCoupon.com to provide the minimum Personal Information reasonably necessary for the child to participate in such activity. A child’s parent or legal guardian may request SoftwareCoupon.com to provide a description of the Personal Information that SoftwareCoupon.com has collected from the child, as well as instruct SoftwareCoupon.com to cease further use, maintenance and collection of Personal Information from the child.